Another voice maybe? VCO like the mangrove? I have some analysis paralysis. And also a shout out to @Slocap for getting this Cs-L away to me very quickly indeed. Lovely stuff and, oh boy, does it sound magnificent! Thanks! 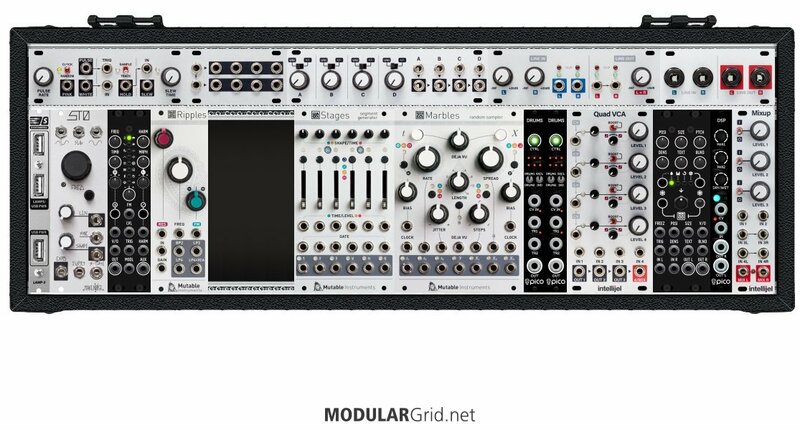 Hello long time lurker and complete modular newbie here. 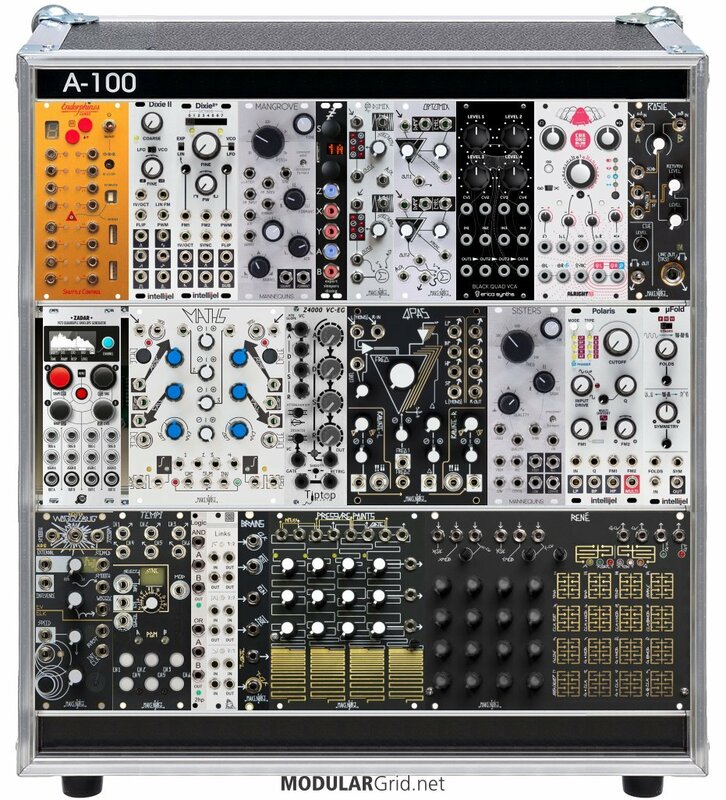 This is my idea for my 1st rack. I'm looking to experiment with a semi controlled self generating sound to add to my Elektron Analog 4. I've based it around the Lifeforms Blackbox as it is a complete voice that I can take it out and use it stand alone to free up space if required later. 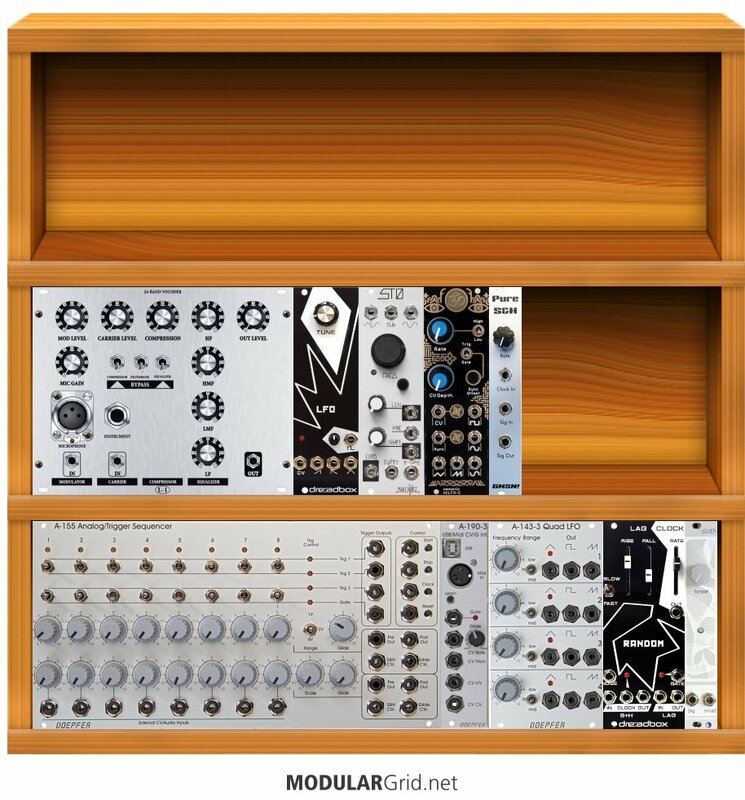 Rings and Tides are in because i love playing with them together in VCV Racks and i think they could add a lot to the Lifeforms. 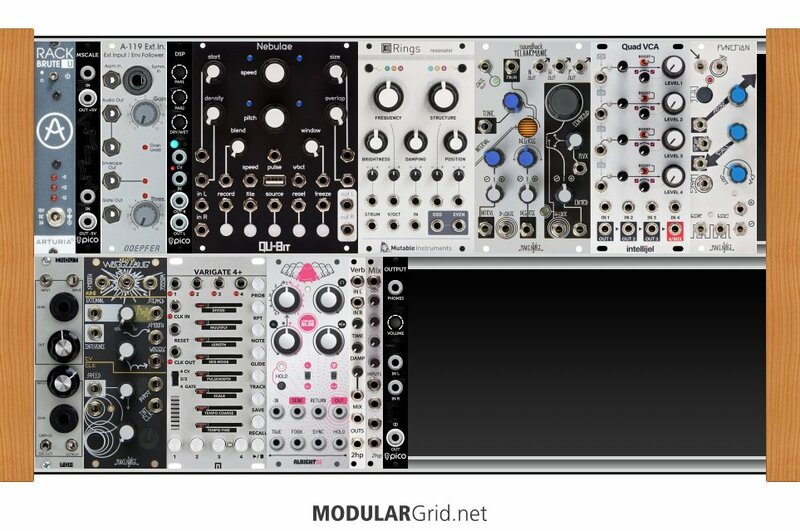 The Disting is there as a swiss army module that I feel will become more and more useful as my experience with modular develops. Links is in for routing handiness. I'm wondering if i should replace the Disting with another VCA, to compliment the SV-1's VCA as I read that "you can never have to many VCA's" a lot in various forums. I'll be using the Analog 4 for sequencing via its cv outs and additional filtering etc. Have I made any glaring omissions or could this all be to much to soon for a 1st rack. Ladik C-041? Hey...why settle for two when four in the same space is even better! Or you can do one of those and still have room for one of their variations on ADSRs. anyone familiar enough with the circuit available to troubleshoot this build? the two gate outputs are reversed, and the length/shift CV inputs seem to be swapped as well. will pay for shipping + time (assuming it's repaired). There. Moved some stuff around and added a dual AD envelope. While I think Noise Reap has stopped making those, I am sure I can find others in the same size or smaller. Thanks Lugia, that makes sense. I had thought of contouring if it was audio info but had not thought of it for CV signals. I can likely pull the 4hp mult and replace with a dual AR generator. Some of my experiments with Telharmonic as main voice. The patch was inspired by atonal music theory and classical vocalise examples by Rachmaninoff, Fauré and Medtner. Vocal is recorded on a tape and processed by Clouds. More explanations below the video on YouTube. Great. thanks for the comment. Wow really cool. mixer and outs for 1/2 the price of the rosie! We have now a reCAPTCHA on the most important sections. I hope it is working and unobtrusive enough. In the normal module browser is a selectbox Available in Marketplace. Select a region and use all the search options like name, manufacturer etc. The results are modules available to buy in the marketplace. On that last bit: in theory, you can do that with the RCD, but your VCA envelope will simply be on/off, no contouring. To make that work optimally, find a couple of smallish EGs (two-stage would be just fine, IMHO) and trigger those with RCD clocks, then send the envelopes to the VCAs as control signals. 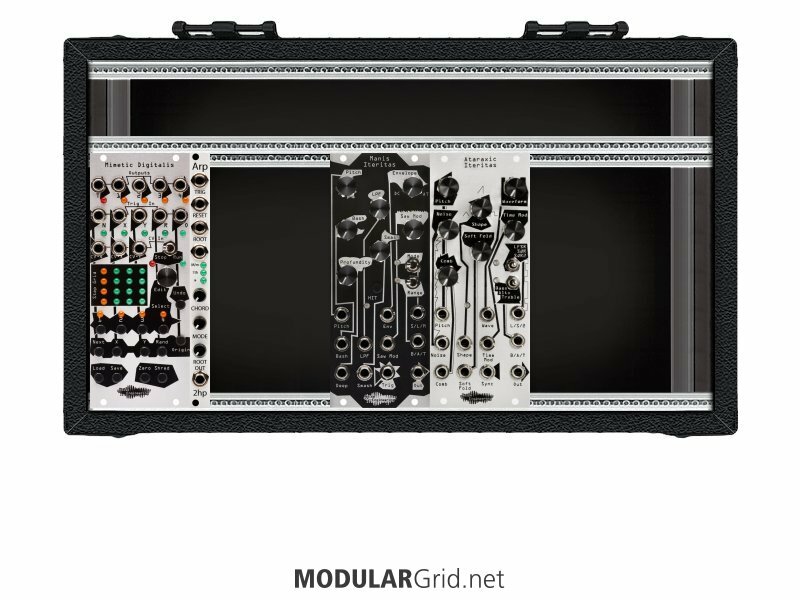 You can lose the mult as well...I find them to be impractical in a small build like this, with inline mults and/or stackcables being preferable to losing 4 hp to a dedicated mult module where something active would make more sense. Neither. If budget is a concern and you want maximum function, AUX send/returns, and an output, check out Ladik's M-175 mixer and M-053 AUX Mixer. With these, you get it all in 20 hp, for $147-ish + shipping. This gives you three mono AUX sends, four pannable mono mixer channels, plus two more stereo mixer channels suitable for AUX returns. And the mixer has dual 1/4" TRS outputs with a master level control. For this sort of thing on a budget, it doesn't get much better. Ronin's got it...yeah, try and squish everything as much as you can if you intend to stay in this small a cab.  You need to use both sizable modules that're jam-packed with functions like the Hermod or Toolbox, or try and shrink down your basics to as small as you can get while still keeping user interface functionality.